Daniel Stevens was born and raised in Chicago, Illinois, relocating, with his mother, to Mississippi in his mid-teens. In 2002, Daniel graduated from Pensacola Christian College with a BA in Pastoral Studies and a minor in Biblical Languages. He received his Master of Divinity from Pensacola in 2006 and completed his Ph.D. in Biblical Studies in 2017 at Piedmont International University, and completed his dissertation in May of 2018. Pastor Stevens has served as a youth pastor and a school administrator. He also ministered as a senior pastor for eight years before becoming college president of Virginia Baptist College. Pastor Daniel Stevens was unanimously elected as the next senior pastor at Grace Baptist Church on February 12, 2017. Pastor Stein grew up in Michigan, but is no stranger to Anderson, Indiana. He served as associate pastor at Grace Baptist Church from 1985-2000. Fourteen years later we are excited that God has called the Steins back to Grace. Pastor Stein holds undergraduate and graduate degrees from Maranatha Baptist University. 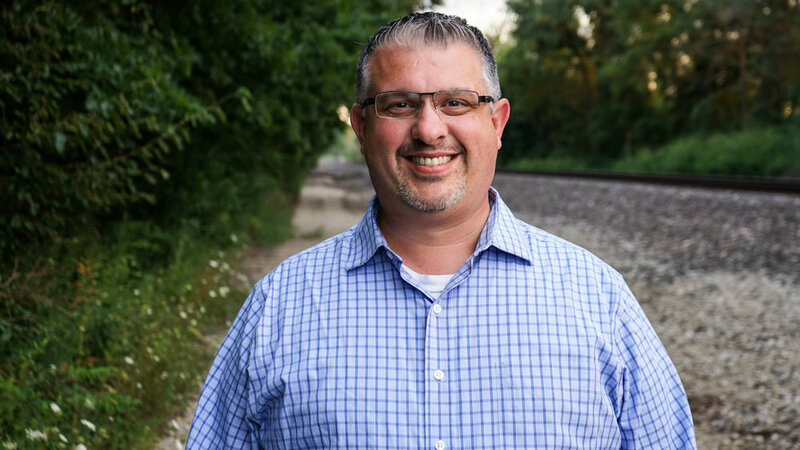 Along with his previous work at Grace, Pastor Stein has served as a youth pastor in Illinois and as an associate pastor at Calvary Baptist Church of Watertown, Wisconsin and at Grace Baptist Church in Muncie, Indiana. Pastor Stein was a heavyweight wrestling champion in high school and college in the late 70s. Pastor Stein has volunteered in the community as a wrestling coach, firefighter, EMT, and police chaplain. Pastor Stein and his wife Karen have four grown children and five grandchildren. Mr. Kevin Plew serves as administrator of Indiana Christian Academy. He is the first ICA grad to lead the school. Mr. Plew began his education at ICA in the 70s, won a basketball championship in the 80s, taught high school and coached a volleyball championship in the 90s, and served as elementary principal in the 2000s. Mr. Plew and his wife, Kim (’95 ICA grad) have four children: Abby, Hannah, Kendall and Seth. Matt grew up as a missionary kid in Yap, Micronesia. Living in the home of missionary, Matt was exposed to the gospel accepted Christ as his Savior at a young age. The years following, God has allowed many people to influence and challenge him spiritually to help him grow in his spiritual walk. While living in Yap. Matt was able to be involved with the church ministry and served in the youth program. Even though he was in high school, God began to use him to help and serve others. Matt attended Bob Jones University for both his undergrad and graduate studies (in Bible and pastoral studies respectively). While at Bob Jones, Matt met his wife Krisa and they were married in 2012. Matt served as an intern at Grace for two summers in 2010 and 2011 and was able to come back as the principal at Indiana Christian Academy in 2014. In 2017, Matt came on staff at Grace to work with the teenaged students. While he still teaches a couple classes at ICA, Matt loves working with the teens in the youth ministry at Grace. Matt likes the outdoors, spending time with friends and family, and enjoying opportunities to serve at Grace and ICA. David Luttrull joined Grace Baptist Church as a ministry assistant in August of 2011. David works both at Indiana Christian Academy and the church. At the school, David enjoys teaching both Bible and Computer. At the church, he leads the student group in activities, during Wednesday night services and Sunday school. He also helps coordinate the church’s technology department. David received his Bachelor of Arts in Youth Ministries from Maranatha Baptist University in 2011. David finished his master’s degree online through Northland International University as part of his pastoral internship. David met his wife, Becca, when she came to teach at Indiana Christian Academy in 2014. David loves helping create worshipful music and loves to see Christ's kingdom further through the media ministry. In his free time, he enjoys reading, spending time with other believers and working with technology. Secundino Bautista leads the growing Hispanic ministry at Grace. Secundino heard the gospel for the first time in 1999, but he refused to believe in Jesus. In the year 2000 he had an accident at work, and while recovering from this accident over the next seven months, he realized that he did not have control over his life. God called his attention, and in April 2000 he accepted Jesus Christ as his personal Savior. In 2002 he married Francisca, and they have three boys: Brian (10), George (7), and Neftali (2). In 2009 Secundino took a step of faith to move his young family from Anderson to South Carolina to study at Faith Bible College (El Colegio Bíblico de la Fe) in Greenville. He graduated in 2012, and in 2013 he and his family returned to Anderson to serve the Lord in the Hispanic work at Grace. His favorite Bible passage is John 1:12-13, “But as many as received Him, to them gave He power to become the sons of God, even to them that believe on His name: which were born, not of blood, nor of the will of the flesh, nor of the will of man, but of God." Nicole Sherwin came on staff at Grace as the administrative assistant in 2016. Nicole grew up in Illinois and studied Business Administration at DeVry University for her undergraduate degree. She was saved when she was a little girl after beginning to attend a Christian school and realizing her personal need of a Savior. She enjoys getting to know other believers and sharing with friends and family how the Lord has blessed in so many ways. Having grown up in the church, she’s thankful for the many areas that she’s been able to serve (nursery, children’s ministry, music, women’s ministry and now administration). Nicole met her husband, Mark, in Junior High and High school. They stayed in touch, long distance, through their college years and were married in December 2014. Afterwards, they lived in Greenville, SC while Mark finished his graduate degree. Mark is now the Math teacher at Indiana Christian Academy. Nicole enjoys scrapbooking, traveling, hiking and exploring new places. Melvin Wittkamper has been on the staff of Grace Baptist Church since 1995. His job as maintenance director requires that he oversee all of the maintenance of the church and school buildings. While Melvin enjoys working alongside the staff here at Grace, he has also enjoyed being a part of mission trips through the church to help in New Mexico and assist in relief efforts in Louisiana after Katrina. Since accepting Christ as his Savior in 1980, John 15:7 has had an influence on Melvin’s life: “If ye abide in me, and my words abide in you, ye shall ask what ye will, and it shall be done unto you.” In his spare time, Melvin enjoys riding his motorcycle and four-wheeler, fishing, and helping out others who are in need when he can. Melvin and his wife, Darlene, have one daughter, Megan (Welsh), and two sons, David and Devin, as well as two granddaughters, Mallory and Macy. Click here to meet the faculty & staff team of our church's education ministry, Indiana Christian Academy.